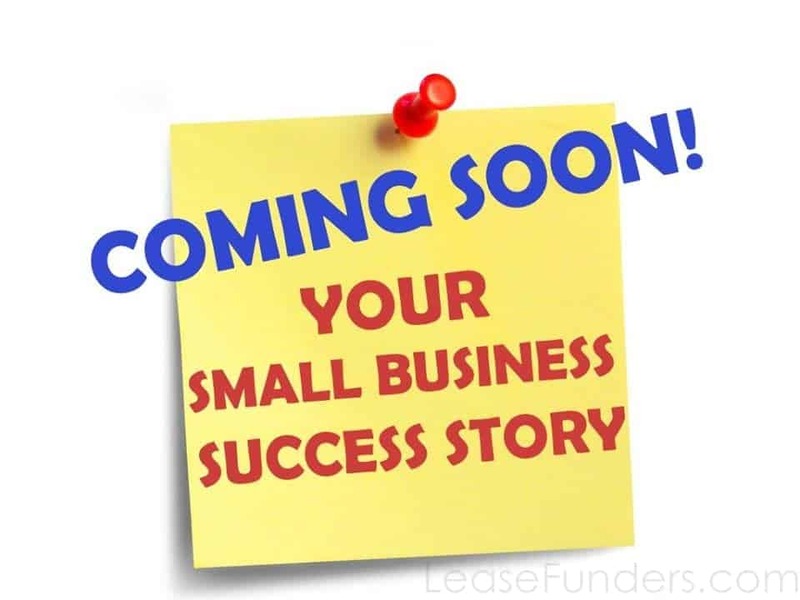 You finally got your startup off the ground, you’ve had a few sales, been in business for several months and now you want to grow, but you’re not sure what steps to take next to ensure success, especially when it comes to small business credit and financing. Here are some tried and true small business financing tips to help you become the next small business success story. As a new business, your company does not yet have a credit history of its own, which can block you from accessing credit lines and financing offered by major banks and lenders. 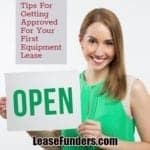 You can begin to build your company’s credit profile by purchasing equipment and supplies from vendors that offer you “net 30” payment terms, meaning you order the items now but you don’t have to pay for them until you receive a bill, at which time you have 30 days to pay. There are various office supply and computer vendors that will let you buy items on net 30 terms. Be sure to always make your payments on time, especially if you can earn any rebates or discounts for early payment in fewer than 30 days. Once your company has a credit history, it will be able to attract better and larger credit offers from mainstream banks and lending institutions. Take some time to refine your business plan so you can present it to lenders when you feel ready to apply for small business loans or lines of credit (LOCs). Now that you are leaving the startup phase of entrepreneurship and entering into the next phase of your business, update and expand upon your business plan to make it more attractive to lenders. Refine your sales projections based on recent results. If you changed your pricing model, your core competencies or any other major aspects of your business since startup, edit your business plan to incorporate these changes and any lessons learned. 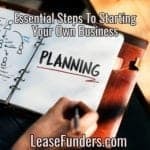 Banks and lenders typically don’t want to extend small business financing to startups, so now that your company has reached the next phase in its development, your business plan should be updated accordingly, especially your financial projections. You now possess an actual operating history to inform your financial calculations, something you didn’t have at startup, so now your business plan is more attractive to banks. Now that your business plan is more robust and contains actual operating data, you can also check into obtaining small business financing from angel investors. Your company is likely too small to attract venture capital, but individual angels who enjoy helping small businesses might want to fund you. The investment amounts capital angels can provide you will be less than what venture capitalists can provide you, but unless you are selling some “bleeding edge” technology, venture capitalists won’t be interested yet. That means the time is right to look into angels. The added benefit of investment from angel investors is most angels have professional expertise to share and an interest in mentoring your company, valuable advice you wouldn’t otherwise obtain. There are various networks of angel investors in every state and region and clustered around different industries, so use your favorite search engines to hunt for angel investor clubs near you. You will want to reach out to these groups of angels to see what types of small business financing and mentoring they offer, plus ask them what their qualifications and application procedures are so you can begin to line up the paperwork they want. These are just a few tips to help your small business expand and grow out from the startup stage and into the next phase of the business life cycle; keep an eye out for other options, too, like small business incubators, free government programs like business plan assistance, and business plan contests, all of which are potential sources of funding. ← Brake Repair Shop – What Equipment Do You Need? Funding is the number one necessity small businesses need today. Without enough funding, we ca’t get the equipment we need, we can’t expand our services and we can grow our business. Getting enough funding is hard work but once you have it, you can begin to focus on the customers again. We’ve heard the same complaints from our customers. They’ve been wanting to expand their business or get new equipment, but funding is what’s keeping them from getting what they need. 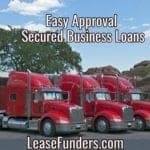 Those who applied for equipment lease from us are now very happy with the success of their business. Trust me, we even have customers who applied and have gotten financed more than once!